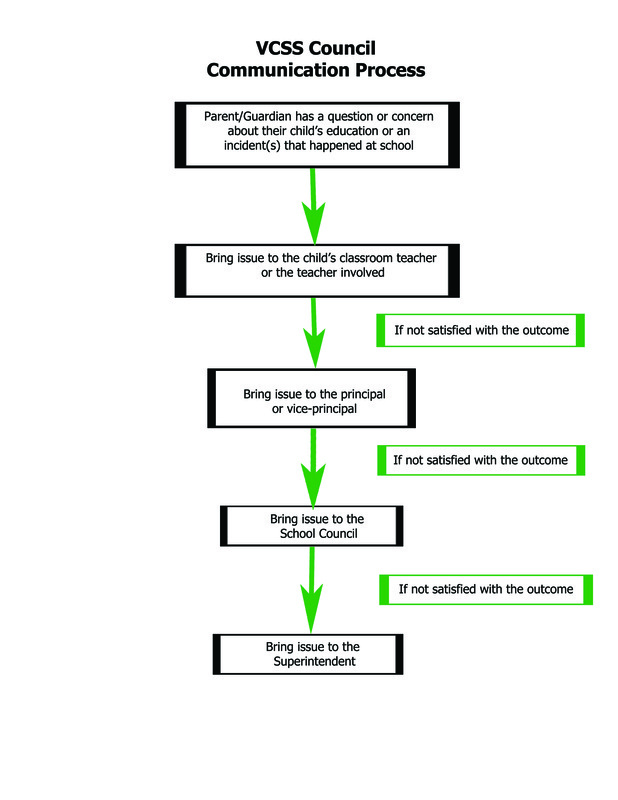 The following flowchart will help you direct your questions or concerns about your child's education or an incident at the school. For more information on resolving conflict within the school environment, refer to the Yuk﻿on Education - School Council Dispute Resolution Procedure Policy (April 2013), which applies to all staff of Yukon Education, School Councils, and all other members of the School Community. A code of conduct is a statement of beliefs in which a person or group of people believes, and which governs and influences their behaviour. It is an expression of dedication to integrity. Having a code of Ethics and some guiding principles for School Council can help clarify understandings about why the School Council exists and how it deals with issues. Reviewing the Code from time to time is a good practice, especially when faced with conflict.